A forceful and energetic production of a surprising and captivating musical. Based on the 1991 film of the same name, Peter Duchan (book) and Benj Pasek and Justin Paul (music and lyrics) won acclaim Off-Broadway. Now, Danielle Tarento and her multi-award winning team brings the production to Europe for the first time. US Marine Eddie is on his last night out with his comrades in San Francisco before being shipped off to Vietnam. They put together a “Dogfight” – where each marine competes to bring a date to a party, and the marine with the ugliest date wins a cash prize. Eddie thinks he’s on to a winner with Rose, but quickly sees past her frumpy veneer and connects with her sweet and docile personality. Remorsefulness of his actions, can he undo the hurt he’s caused her before he faces the horrors of ’63? Duchan’s adaptation of the film manages to combine all of it’s main elements, but also expands it to add more narrative substance and intelligence on what is otherwise a bit of a whistle-stop and slightly unbelievable story. Particularly, his lambaste of military hubris has created one of the most instantly unlikable protagonists on the stage. Brash, oversexed, and grossly arrogant, Eddie and his band of “B”s are as odious as they come. Though setting-up a rather easy juxtaposition between Eddie and Rose, Duchan exploits the vast room to explore a less direct, more humorous, heartfelt, and satisfying redemption for Eddie. There’s no fairytale transformation, but a rough and bumpy gradual change that is entertainingly convincing. 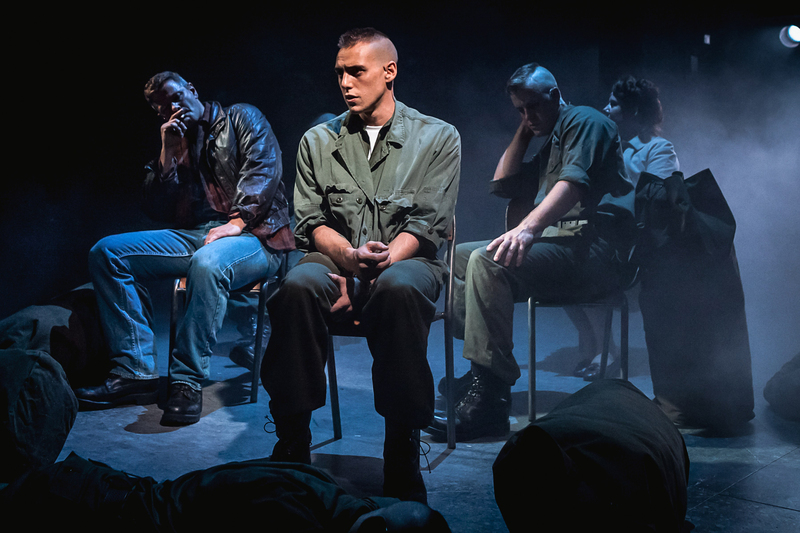 Furthermore, Duchan also manages to brutally bring the futility and tragedy of America’s involvement in the Vietnam War to the stage, as well as the ire it garnered from the American public. It explores a real sense of loss and regret that crescendos to a most devastating finale, making it brutally moving as well as adorably sweet. The only criticism is that, having penned such a high-octane and riotous first act, Act II does slump as the narrative becomes less hectic and more tender. But thankfully, you never lose engagement with the show and are with it all the way to the end, even though you want it to move just a little quicker and as giddy as Act I during the second half. Laura Jane Matthewson as Rose. Photograph: Darren Bell. It’s easy to compare the score to Spring Awakening, especially as there have been many poor imitations since. Composers and lyricists Pasek and Paul certainly following suit with writing a score in this very American modern rock musical in style; in many ways is very comparable to Duncan Sheik’s masterpiece. However, just when you think you’ve heard it all before, Pasek and Paul put in twists in melody, style, timbre, and pace that prick up you ears and reel you right in. There are so many surprises in the music that despite it being very definite of genre, it’s one of the freshest and original scores to come from America in a long time. Their orchestrations and choral harmonies are part of the excitement they build into their work. Whilst these intriguing intricacies are rich and rousing, they are always used sparingly and only when it is best suited. The result is an incredibly dynamic score that goes from riotous to tender and lyrical from moment to moment, tossing the audience from wonderment to arousal with masterful strokes. Lyrically, Pasek and Paul have an incredible grasp on language. The rhymes are seldom obvious, and words are toyed and played about with intelligent and immense wit. Most importantly, they manage to embrace a very real essence of Duchan’s characters. Flits of very homely and unembellished personality comes through every now and then, cutting through the clever language and smarts, giving us flashes of real and believable charisma. An example is Rose quipping, mid-ballad, about the bad choice in dress colour during “Pretty Funny”, which is otherwise one of the most lilting and heartbreaking songs in the whole score. Elsewhere, nothing ever feels silly, clumsy, or forced in the score. Pasek and Paul have the ability to write songs fluidly as if everyday chatter, and it’s astonishing. Tarento has done it again, despite not working with her regular partner in crime, Thom Southerland, who is in New York looking after the transfer of Titanic: The Musical. 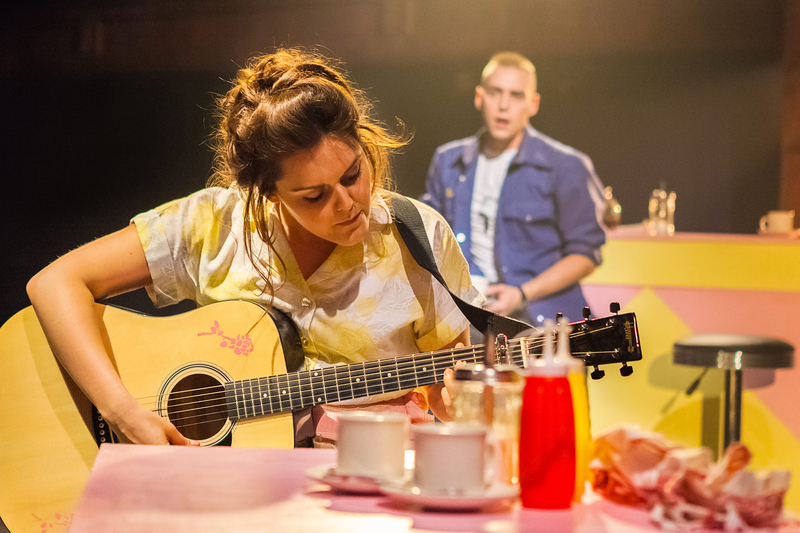 But director, Matt Ryan, works just as well with Tarento and the rest of the team to create what is another superb production for the Southwark Playhouse. Lee Newby’s set evoking the Golden Gate Bridge sets the scene with whimsy and charm, whilst also giving the orchestra somewhere to sit and a higher level for Ryan to work with at points. But it’s main purpose is to create a sizeable thrust area as somewhere for the bulk of the action takes place. 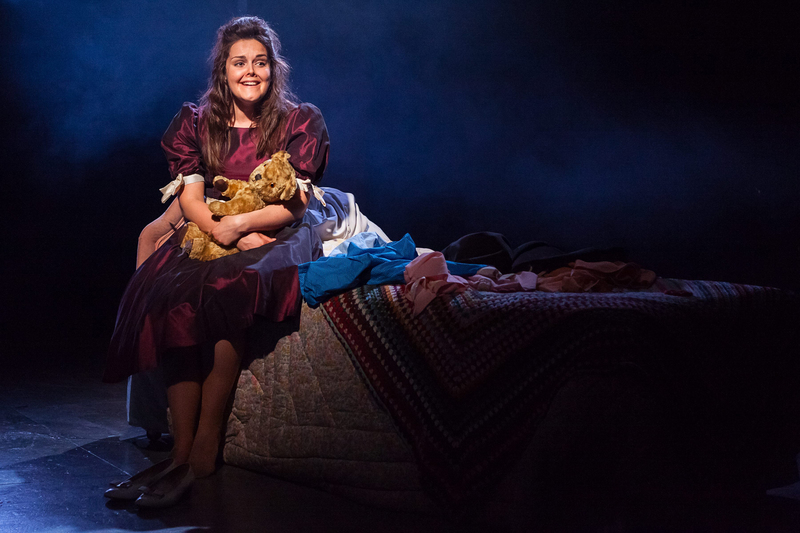 Though there’s little else by way of scenery, Newby’s set allows Ryan to direct the show in a manner that simply allows the musical itself to do the talking, rather than the production. Other noticeable aspects of the production is Lucie Pankhurst’s choreography. It’s as high-voltage, slick, and lively as they come. Given the relatively limited space has by no means contained Pankhurst either. Though during the large chorus numbers when there’s limited space for the 11-strong cast as there is, the performance area is filled to the brim but with an exhilarating amount of intricate moves fittingly together like some extraordinary human-Difference Engine. Newby’s attention to detail with the props and costume, too, is something of note. Laura Jane Matthewson, playing Rose, is by far an “ugly” creature, but Newby still managesd to find what is quite possibly the most hideous dress to have ever graced the stage to exaggerate Rose’s frumpiness, making Matthewson look less like Alice in Wonderland and more like Alice in Primark! Whilst Ryan fills the space action and energy around the various props that are brought in, there are times where he doesn’t quite handle the thrust space entirely well. If you’re sat on the sides you’ll see mostly a character’s back for significant periods of times. There are some very basic directional attempts to try and overcome this, such as sing to this side first then turn and sing to this side, but it’s still a bit of irk to be left to admire an actors back pocket for too long. Whilst it really is difficult to avoid completely, these moments could probably be contained and limited a bit better. The only other criticism is the sound levels. There are more than a few moments where it’s difficult to hear Pasek and Paul’s great lyrics because it’s drowned out by the level of the band. It’s difficult to know whether this is because of an inability to adjust the sound properly or because of the problems that come with the intimate size of the venue. Whilst the band and the performers are all mic-ed up, part of the problem is that the audience are still getting the sound of the natural acoustic sound that the band makes. This is something which isn’t necessary going to be picked up by the sound engineers who will be listening mostly to just what’s being picked up by the mics. But hopefully this will be corrected in the next few performances because, unless you’re already familiar with the score, you miss out on some of the brilliance of the songs. Jamie Muscato as Eddie. Photograph: Darren Bell. Tarento has managed to find a superlative cast for the production. Making her debut, Matthewson is sensational. Not only has she got a voice that is both soft and powerful at the same time, she portrays Rose in such a sweet and naive manner that it’s impossible not to love her. See draws instant empathy from the audience making you cheer her on every step of the way, as well as struggle to get through “Pretty Funny” with anything less than a tear in your eye. Jamie Muscato as Eddie is also absolutely fantastic. His ability to make every song his own is nothing short of marvellous, never being afraid to break from singing and actually act moments of a number. His big solo, “Come Back”, is not only an apex of the show but the height of his performance. He sings it with a crushing and deafening force that is worthy of every possible accolade that can be thrown at him. Special mention must go to Rebecca Trehearn as Marcy, too. Her duet with Matthewson in “Dogfight” was sang with an incredible rawness and spite that made the number absolutely exhilarating. The rest of the supporting cast are also brilliant, throwing every inch of energy they can muster into the show to create a piece of theatre that has the Southwark Playhouse vibrating with force. No-one sings flat or sharp, no-one feels like they’re dragging their feet, and everyone feels as integral and vital to the production as the show’s leads. Tarento has once again demonstrated that she’s a formidable producer to be reckoned with, with an exceptional cast and production behind her. Plus, this is a new American musical that could only have been fresher and more original if it came foil-packed. This production absolutely blows the mundane fare of Theatreland clear out of the water, and should have the West End shaking in it’s boots. A barnstorming and phenomenal show. 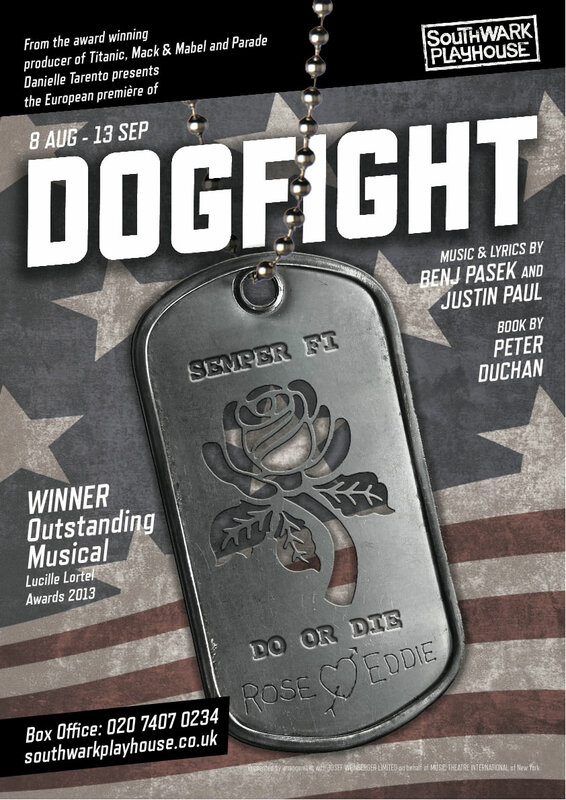 Dogfight plays at the Southwark Playhouse, London, SE1 6BD, utnil 13 September 2014. Tickets are £22 (concessions available). TO book, visit http://southwarkplayhouse.co.uk. 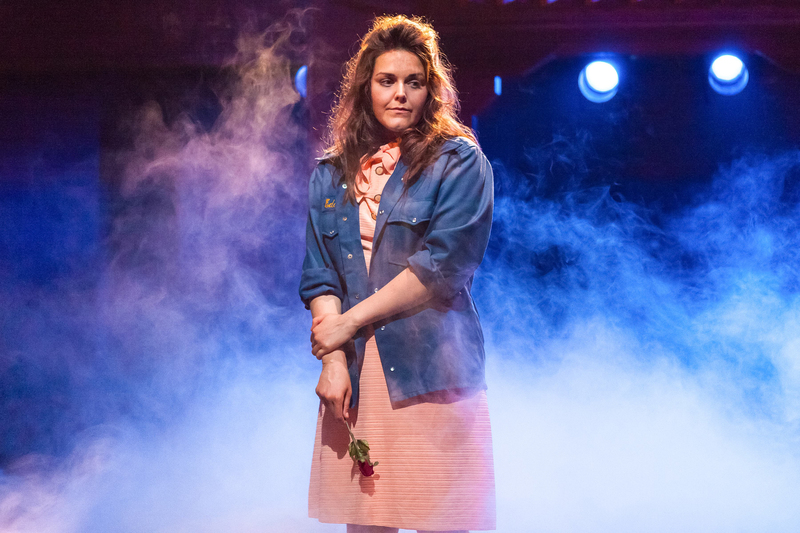 Southwark Playhouse and Danielle Tarento have released a recording of “Pretty Funny” on YouTube ahead of the upcoming European premier of award-winning musical, Dogfight, based on the 1991 movie of the same name. After it’s great success off-Broadway, the producer behind the Southwark Playhouse’s most notable hits (Parade, Victor/Victoria, and Titanic – which transferred to New York) is bringing the Lucille Lortel 2013 Awards “Outstanding Musical” to London for six weeks only. With music and lyrics by duo Benj Pasek and Justin Paul, Time Out New York have described the score as, “Easily the most delicate, surprising, musically satisfying score since Spring Awakening.” In this track sung by lead Laura Jane Matthewson, who will play Rose in the London production, it’s easy to see why. Lilting and bittersweet with a rousing and unexpected middle-eight, if “Pretty Funny” is anything to go by, the rest of the score should be fantastic; especially if Matthewson brings the same heartfelt performance to the show that she demonstrates on YouTube. Until the show opens, this should keep you going for a while, although the full original off-Broadway cast recording is available on Spotify. Given Tarento’s track record with both the Southwark Playhouse and the Menier Chocolate Factory, this will undoubtedly be a summer show not to be missed. 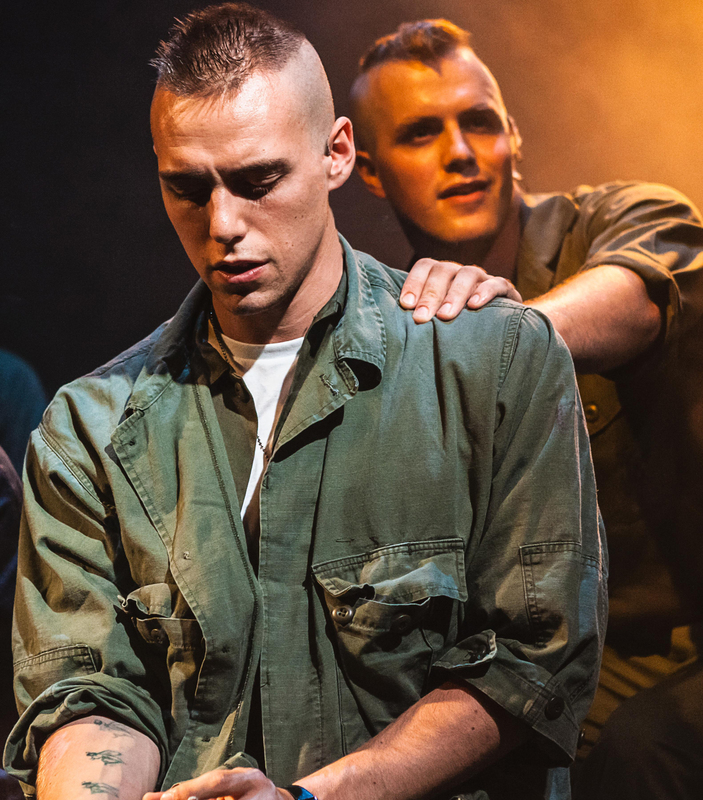 Dogfight will play at Southwark Playhouse, London, SE1 6BD, from 8 August – 13 September 2014. Preview tickets (8-12 August) are £12. Tickets are £22 (concessions available). To book, visit http://southwarkplayhouse.co.uk.